For the upcoming year collection, La Petra is bringing a new fresh air of wedding dress. 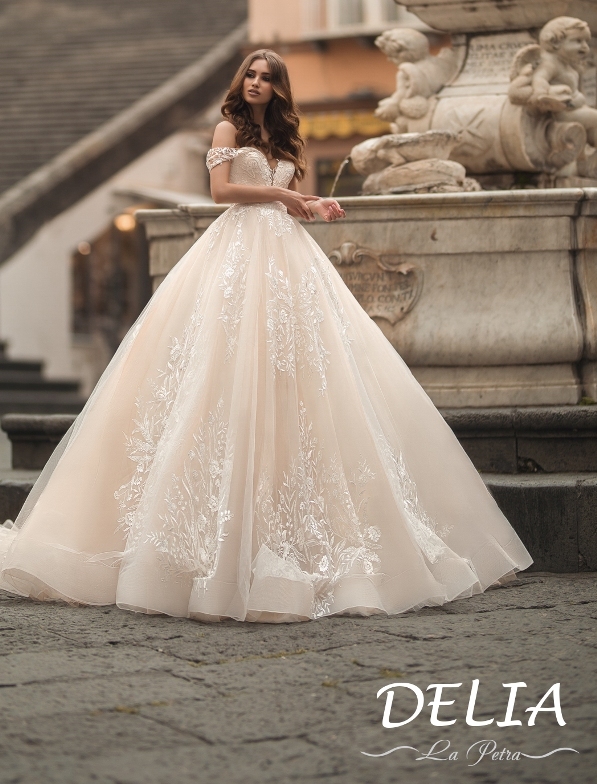 La Petra 2019 Wedding Dresses Collection consists of twenty-two enchanting dresses with more fabulous and various designs than ever. Especially on the neckline, all dresses have alluring low V-cut that will accentuate your gorgeous cleavage. 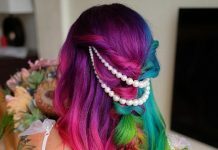 Going lower, the skirts of the dresses mostly have a mermaid cut, an A-line cut, or a ball gown cut. They may have different cuts but there is something in common. All their gowns are all luxurious and impressive. Each dress impresses the eyes that witness its beauty in its own way. Some dress has detailed unique beaded patterns. Another dress has cascading tulles that will bounce gracefully as you move. The other ones possess lengthy trains making you look like a princess. 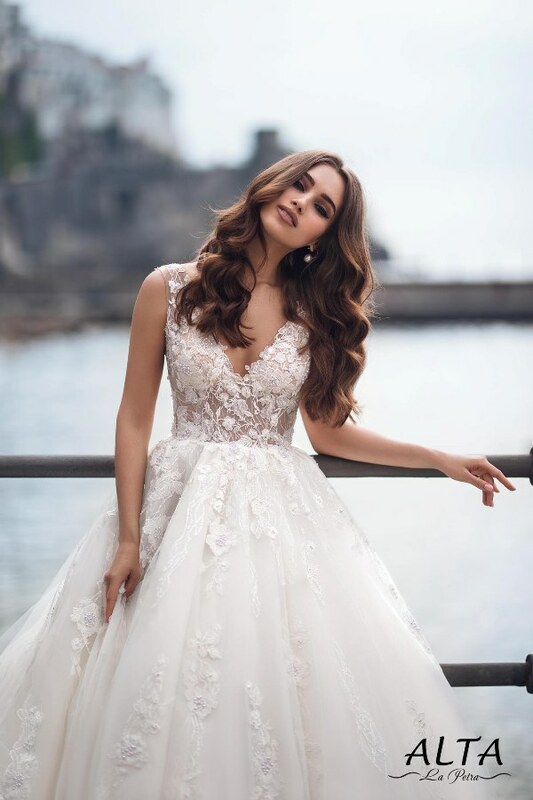 Or, with cute accessories such as playful feather on the sleeves near shoulder, lace, embroidery, those ornaments complete the beauty of the dresses in La Petra 2019 Wedding Dresses Collection. The fabrics come from the best quality ones. Sumptuous laces are sewn perfectly on all dresses. The tule in some dresses also adds the glamorous sense of the dress with a simple cut. 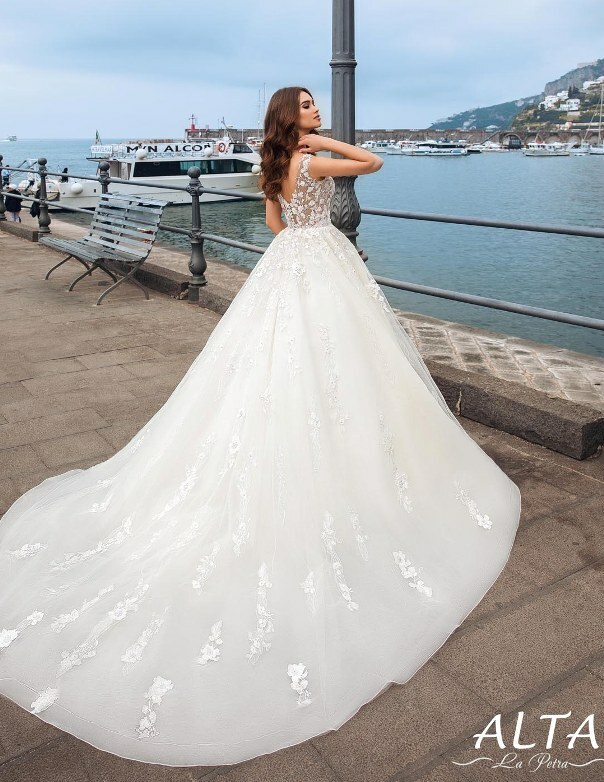 La Petra 2019 Wedding Dresses Collection can fit into any types of your desired wedding. From the vintage one to modern futuristic one or fairy tale like, those dresses will make it come true. With cream color and whole-fully laces wrapping your skin, Avreliya dress is so vintage looking. Looking like a Cinderella, Benita dress has an enormous skirt just like any other princesses wear in tales.